If you’ve been following tech news in the last year or so, you may have heard Huawei’s name pop up again and again, almost always in a negative way. The Chinese tech giant is involved in infrastructure and the production of consumer devices, and over the past few years it has made a massive push into Western markets. 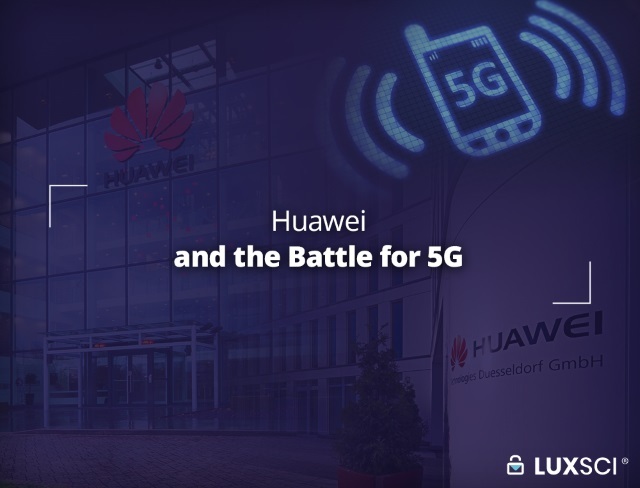 One of the main points of contention has been Huawei’s involvement in rolling out 5G infrastructure in a number of different countries, with its critics citing that this poses a massive security risk. It’s the next step in the evolution of mobile networks. We’ve gone from 2G to 3G and 4G, and now 5G looms on the horizon. It promises to bring increased performance, energy savings, lower latency, reduced costs, greater device connectivity, a higher data rate, and increased system capacity. The global commercial launch is expected in 2020, although it has already been deployed in some markets. The push is led by a slew of companies including Samsung, Ericsson, Cisco, ZTE, Qualcomm, Huawei, Intel and of course, Huawei. 5G is set to see heavy usage in enterprise networking, industrial IoT and other important technologies. It is also expected that the increased performance will lead to new applications, such as rapid IoT machine-to-machine interaction, as well as more practical uses of augmented and virtual reality technologies. Huawei is one of many companies that are involved in the development and infrastructure of 5G technology. As a fast-growing provider of mobile equipment and services, it has put in tenders for 5G network development in countries around the world. What’s the Problem with Huawei’s Actions? Since at least 2005, there have been allegations that the company has close ties with the Chinese Government and may be used for international espionage. These concerns have ramped up in recent years, with numerous heads of intelligence agencies warning against the use of Huawei products. This has culminated in a number of countries, such as the US, Australia and New Zealand, either preventing the company from being involved in the development of 5G infrastructure or disallowing their consumer products in certain situations. If you’ve been following the media, you may have gotten the impression that Huawei is the spawn of Satan, a Chinese puppet trying to worm its way into our lives and infrastructure as part of a Chinese attempt to take over the world. Despite the hype, there is a very limited amount of hard evidence among the fiery allegations. The aforementioned intelligence agencies have not released any proof of the alleged spying. Even the most solid accusations, such as Huawei’s purported espionage against T-Mobile and its supposed involvement in African spying, are questionable. In opposition to the accusations, Germany’s head of the Federal Office for Information Security, Arne Schoenbohm, claims that there is insufficient evidence to stop the country from operating in Germany. Similarly, the UK’s National Cyber Security Centre believes that the risks posed by Huawei can be managed and an outright ban of the services would be unnecessary. Is There Really a Threat? While all of the anti-Huawei sentiment may be overblown, there could be some merit in the underlying concerns. As tensions between China, the US and the rest of the West become more strained, it’s important to consider whether it would be wise to have portions of our national infrastructure controlled by a Chinese-based company. We should also think twice about whether there could be repercussions from the widespread adoption of Huawei’s personal devices. From a purely security-focused standpoint, it seems risky to have such a significant amount of our infrastructure and technology supply coming from any foreign country, let alone one that can be considered a rival, such as China. But the solution isn’t so simple. It’s not as though you can just wave a magic wand and suddenly base all technology design and manufacturing within the confines of the US. Such a move would take decades and would likely lead to much higher tech prices, as well as increased tensions with China. If we are being pragmatic, the best way to move forward is to take a risk-based approach. It would be ideal to have extensive oversight for all critical infrastructure, with as much of its development as possible based in the US. When it comes to lower risk situations, such as consumer devices, we can afford to be less cautious. It’s unlikely that Huawei is gathering any more data from mobile phone users than its rival tech companies, simply because sorting the valuable information from the noise is an arduous process. Despite this, it is probably best to avoid devices from Huawei or other questionable companies in risky situations. This includes government and military applications, as well as the use by high-value individuals. It’s important to stay clear-headed when we analyze the complicated intersections of technology and national security. While the majority of accusations against Huawei seem baseless at this stage, we should remain prudent and realistic in our future actions. It’s the best way to manage the complex triad of international relations, security and technology. Is Huawei a Danger to America’s Security? This entry was posted on Tuesday, March 19th, 2019 at 5:35 pm	and is filed under Popular Posts. You can skip to the end and leave a response. Pinging is currently not allowed.